Classroom Law Project is Oregon’s leader in preparing youth to become active, engaged and informed participants in democratic society. Democracy is not a given. Young people need to develop the skills, knowledge, and attitudes that will prepare them for a life of informed, intentional participation in their communities. This is one of the foundations of public education. Shifting trends and priorities in education have put such opportunities at risk. Testing in social studies — which includes civics and the workings of democracy — is not mandated. This is why Classroom Law Project brings vital and engaging civics and law-related education programs into Oregon schools, teaching students at all grade levels the values and skills essential to being a participating citizen in our democracy. Each year, our innovative, timely, practical and fun programs and professional development opportunities involve and inspire over 1200 teachers and 97,000 students across Oregon. 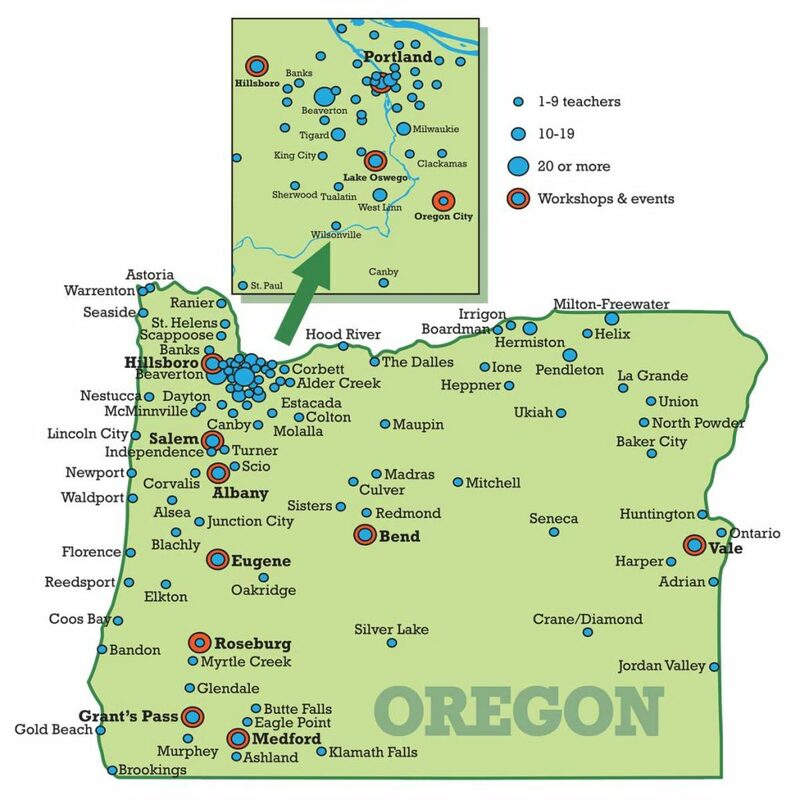 Classroom Law Project began in 1973 as the Tri-County Law Related Education Project, dedicated to ensuring that young people in Oregon knew how to participate in the state’s distinctive model of direct democracy and be active community members. By 1976, the Oregon State Bar had created an Ad Hoc Committee on Law Related Education that partnered in this work. In 1983, Classroom Law Project was incorporated as a 501(c)3 non-profit, and founding Executive Director Marilyn Cover was hired. Since those early days, Classroom Law Project has grown into a premiere educational organization. With thousands of partners, participants, volunteers, and donors who value and support our work, we continue to innovate and expand our reach around the state. Here’s a handy brochure offering an overview of our programs. We are also proud to honor those whose work helps to promote the values of civic education. Each year since 1984 we have recognized a Legal Citizen of the Year.